I am Lara Swan in year 10 at the Gilberd School. I was delighted to hear that I had been offered a week’s work experience placement at Mercury Theatre. 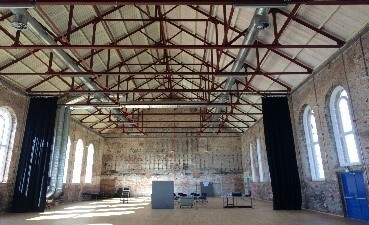 I couldn’t wait to learn about what goes on front and back of house in the making of all the sensational performances and the exciting work with the community that takes place. On my first day, I was given an introduction where I met the staff and was given an insight into what they do to keep everything running, and the exciting developments of the Capital project. The Creative Learning and Talent manager Carl Woodward gave me a thorough tour of the Theatre backstage (the offices) Headgate House and Abbey Field where more of the magic happens, including the youth theatre sessions. 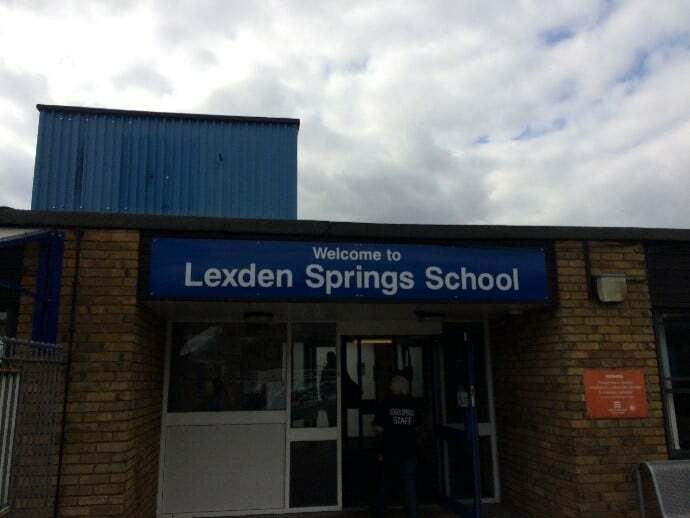 On my second day, I was given a fantastic opportunity in working with the youth theatre workshop at Lexden Springs. I accompanied Harry Bowen, the Creative Learning and Talent assistant, and was given an insight into the community work the Mercury gets involved with. I had an amazing time meeting the students and loved to see how much passion they share for the creative arts and what a massive difference the Mercury’s youth workshops have on young people. Furthermore, on my second day I was lead through what goes into the marketing aspect of the theatre – getting the public aware of all the shows that are put on. I was even given the chance to make my own post to advertise the shows Dinosaur World and Sherlock Holmes. Wednesday began with a meeting about the Mercury’s access for the disabled members of the community in the theatres, and of course in the Mercury at Abbey Field tent that will allow the Mercury to continue with its fantastic performances while the Capital project takes place. It was interesting to hear more about what goes on behind the scenes to meet the public’s needs for wheelchair users etc. Later that day, I was given the opportunity of seeing all the hard work the Youth Theatre students had put into their sessions for the end of term sharing. I was blown away with the talent of all the young people. On Thursday, I was lucky enough to watch Dermot O’Leary‘s reading of Toto the Ninja Cat at the Mercury. It was great to see how the Mercury organises these important events and how excited all the primary school children were, who were desperate for a signed copy of the book. Furthermore, I was given a ticket to see Ain’t Misbehavin’, which was phenomenal. The performers were full of energy from beginning to end and interacted with audience members throughout the songs. The glorious choreography from Strictly’s Oti Mabuse accompanied the live band which was fantastic. If I could I would definitely go see it again! Friday was a reflective day at the office reviewing all the incredible opportunities I was given throughout the week. I also got involved in cutting flyers for World Autism Day and helped organise the audit for the CL&T cupboard. As someone who is into performing arts, interested in the development of a performance and the management of a theatre, my week’s work experience here was perfect!